The sheer number of lip products the 3 of us gather (well mainly Sheena and Dipti as Nina still sticks to her 5 minute make-up routine) has gotten out of control and quite expensive! There are choices everywhere from glossy to matte and everything in-between. With so many options in stains, hues, densities, pencils, crayons, lipsticks, etc, it gets to be quite the collection once we get started. Lip colors are our favorite thing to apply as it changes a look in an instant. It can go from tired and drab to awake and fab with a little color. Sheena and Dipti are huge fans of bright colors on the lips where Nina likes the neutrals. She will try the occasional dark lip, but she wouldn’t even dream of putting a hot pink lip on! We are always changing up the colors we use depending on the season and the event. Give some of these a try this wedding season – we are sure you will be able to create a fab look with a statement lip!! Recently, we have heard a lot about specific drugstore lipsticks/crayons, so we went on a little hunt and found some great options – the best part, they’re relatively inexpensive! Sheena is really into the matte lips and has pretty much bought every color in the Mac Matte collection, which, as you can imagine, as broke the bank a bit. However, two drugstore brands have stole our hearts lately, Maybelline and L’Oreal! 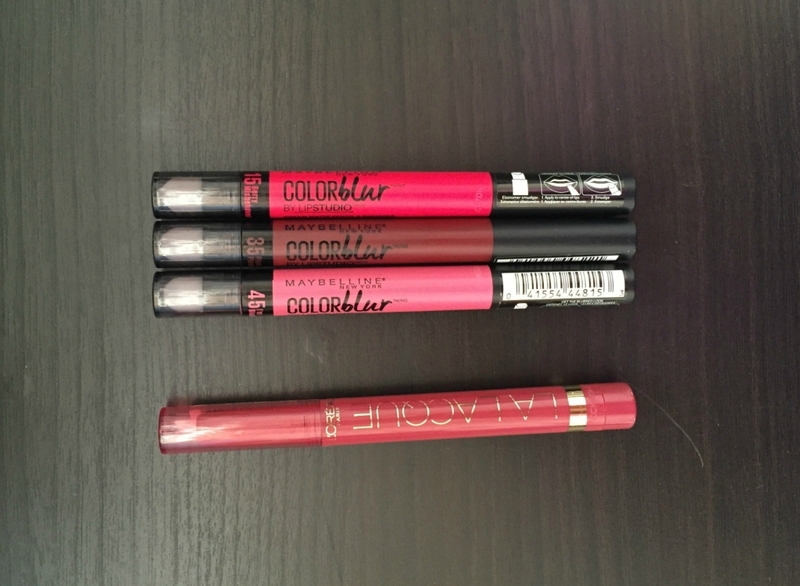 Maybelline has a line called, Lip Studio Color Blur, which goes on really smooth and stays on through the day. It has gorgeous, vibrant colors as well as awesome nudes. 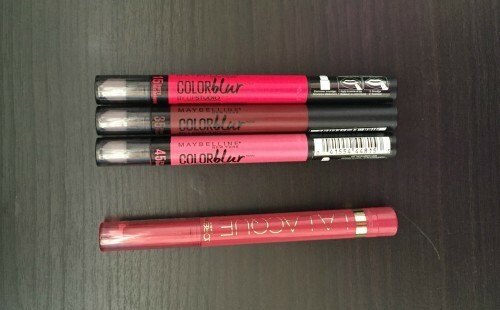 L’Oreal makes a line called, L’Oréal Paris Colour Riche Le Matte Lip Pen, which also has an array of colors that glide on perfectly and are long wearing. We have been sporting these lips through the spring and are still going strong. 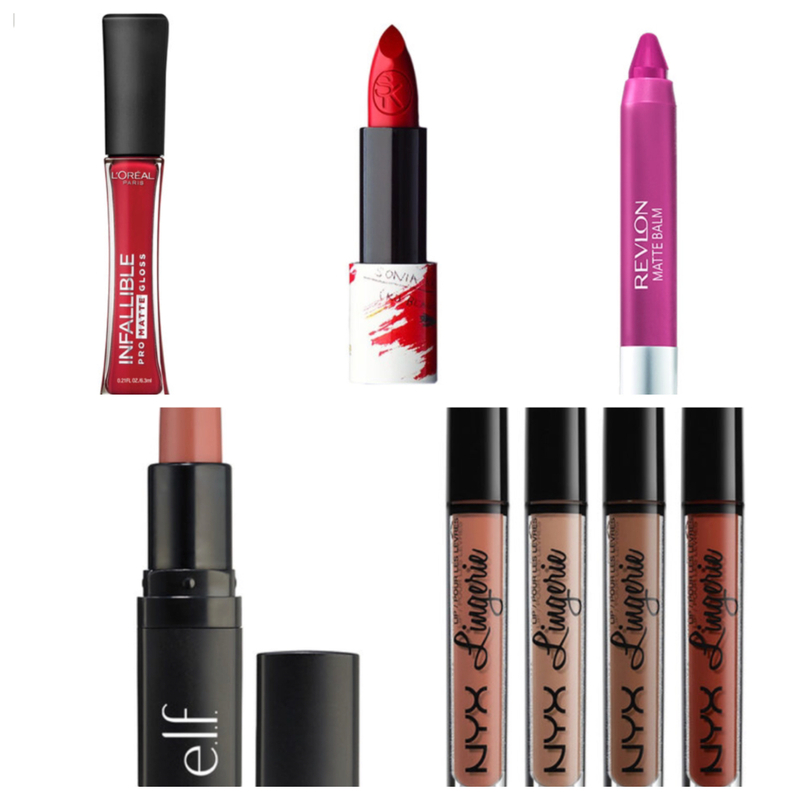 A few others that we have heard are making their way around (but have not tried) are, NYX Lip Lingerie Liquid Lipstick, Elf Velvet Matte Lipsticks, Sonia Kashuk Knock Out Beauty Matte Lipstick, Revlon Matte Balm and L’Oreal Paris Infallible Pro Matte Gloss. We will definitely be giving these a try this summer and will update here with our reviews. If you have any lip product reviews you would like to add, we would love to hear them! It Must Be Love…Our Valentine's Day Favorites!